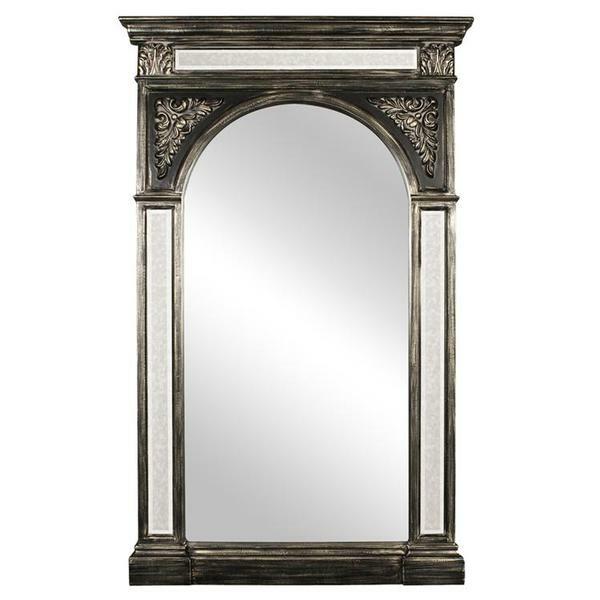 The Valera Mirror is a lovely gothic piece featuring a rectangular frame finished in antique black and accented with an arched mirror. The sides of the frame are fashioned to look like columns and are fitted with antiqued mirrored accents. The Valera Mirror is a perfect focal point for any design. Customizable for larger orders.